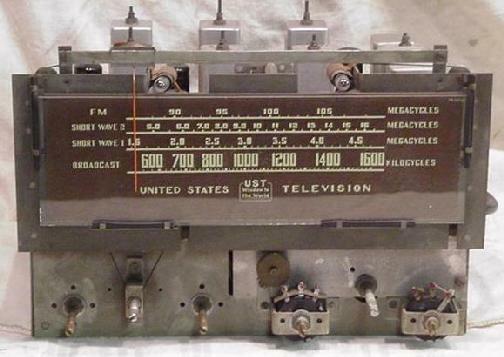 The United States Television Company produced a number of televisions between 1947 and 1949, mostly projection sets for businesses and to a lesser degree homes. 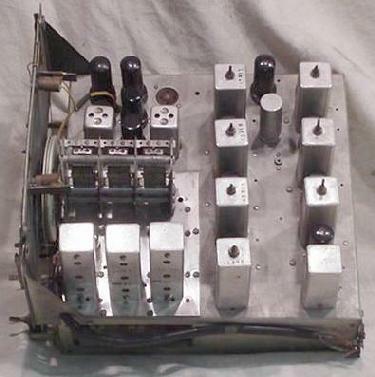 This is the model T-525, which was used in bars and clubs. 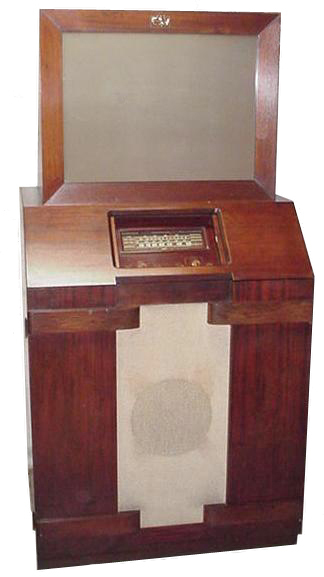 It is a projection TV with a AM-FM-SW radio, and also has input for a phonograph. Original price for this set was $1,995.00 in 1947. The cabinet is 73" high, the screen is 25"W x 19"H.
This particular set was never sold, it was purchased at an auction of a TV distributor about 20 years ago. It still has the original shipping label on the back and the shipping rails on the bottom. 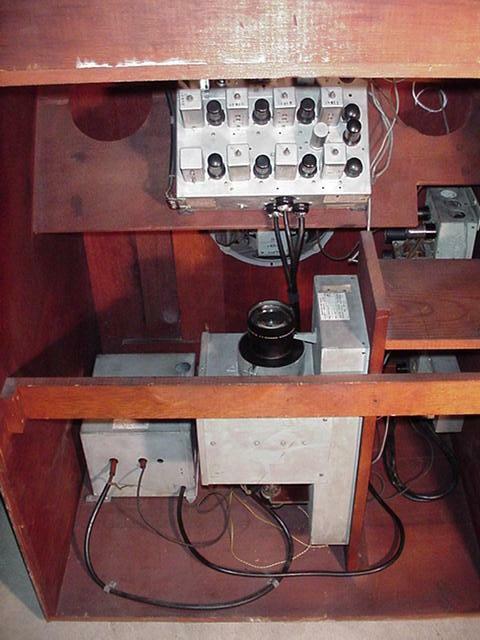 Deflection chassis on left, low voltage power supply lower center, high voltage power supply on lower right (safety cover removed), projection chassis upper center. 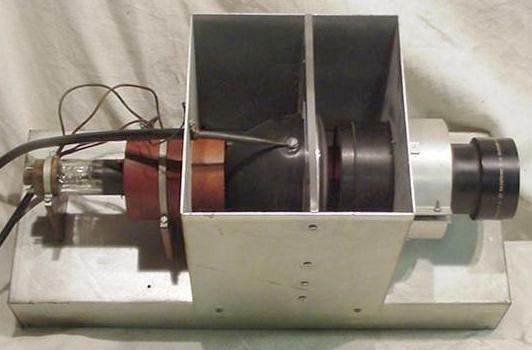 The low voltage power supply. The deflection chassis. 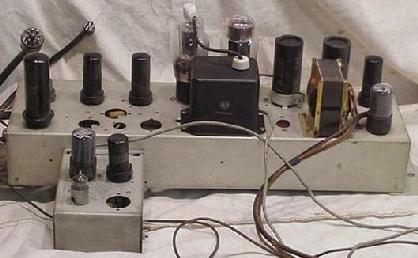 The small add-on chassis is the phase lock horizontal oscillator circuit. 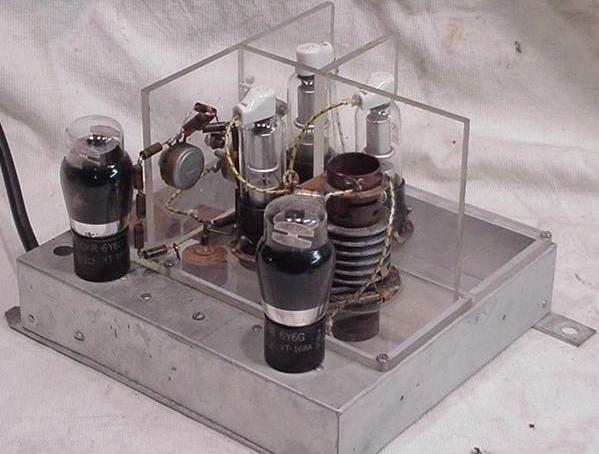 This set was probably designed pre-war, when it went into production in 1947 the PLL circuit was added. This set uses the 5TP4 projection CRT. The projection system consists of an f1.9 B&L lens system projecting on to a front surface mirror, then to the glass screen. Even with 30KV on the tube the brightness is not as good as the sets using a Schmidt projection system. 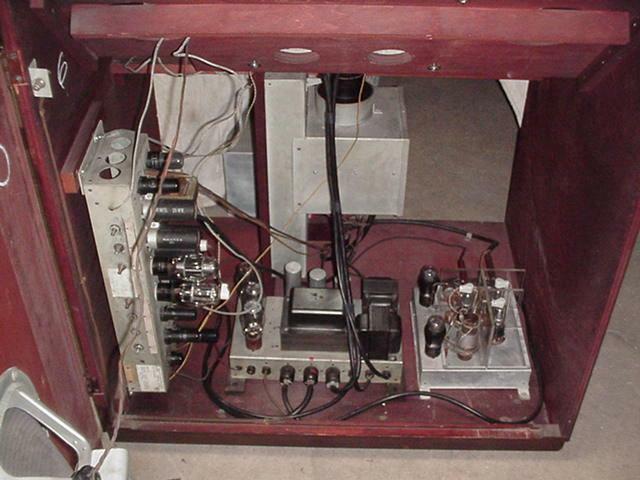 The TV receiver and radio are contained on one chassis. It tunes the modern FM band, AM broadcast, and two SW bands. The tuner chassis has the look of a pre-war design. 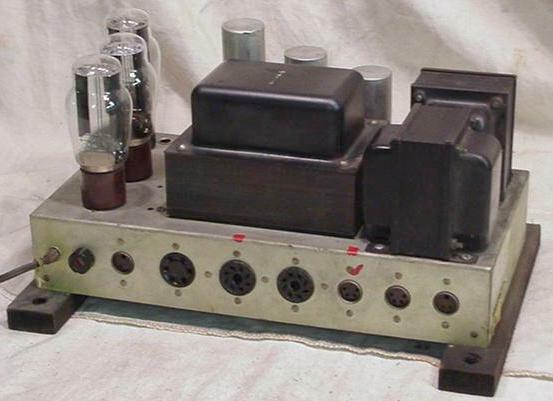 It appears the front end was modified before production, three miniature tubes are used here, the rest are all metal octal.